HEALTH minister Prof. Isaac Adewole yesterday announced that the outbreak of Lassa fever has spread to 15 states, recording 31 deaths. He added that there had been 105 laboratory confirmed cases and three probable cases. The minister told the Emergency National Council of Health in Abuja yesterday that cases were recorded in Bauchi, Plateau, Taraba, Nasarawa, Benue, Kogi, Ebonyi, Rivers, Imo, Anambra, Edo, Delta, Ondo, Osun and Lagos states. The minister added that 10 health care workers were affected in four states (seven in Ebonyi and with one each in Nasarawa, Kogi and Benue states). He said the meeting was summoned to discuss the state of public health challenges in Nigeria with a focus on some of the challenges that bedeviled the nation in the past few weeks. Adewole added that Lassa fever had been a recurrent outbreak in the country, stressing that Nigeria had battled with a series of outbreaks in the past few months. According to the minister, Nigeria dealt with Ebola in 2014; the country reacted strongly and the response was acknowledged by the international community. He said: “The success against Ebola created a situation whereby every other public health challenge in Nigeria to be a tea party. The minister said that Nigeria had also dealt with the resurgence of polio, adding that the issuance of recertification will be tougher than it was before. “The international community will not come to Nigeria’s rescue or certify the country polio free until everyone is sure that Nigeria is polio free, and that is another health challenge,’’ Adewole said. The minister said that the country had dealt with measles and persistent case of measles across the country despite the available vaccines, adding that government has already commenced nationwide campaign against measles. He lamented that many states were yet to pay counterpart fund for the measles campaign. Adewole said in 2017, Nigeria had to contend with the outbreak of cholera from Kwara, Lagos, Kano and Borno states, adding that the disease is preventable with the availability of water and good hygiene. The minister said first confirmed case of yellow fever happened in 2017, 17 years after the last case in the country. He said: “We have also commenced the nationwide immunisation against yellow fever that will take about seven years to complete due to non-availability of vaccines and large number of people to vaccinate. “We have already taken delivery of 25 million doses of vaccines; with these we should be able to go far but not far enough. Adewole said Nigeria has to deal with cases of monkey pox, stressing that it causes a lot of anxiety in the country which led to the death of three people. He said the cases were prevalent in the South-South with Bayelsa, Rivers and Cross Rivers as the focal point of the disease. The minister said that government was able to build diagnostic capacity to diagnose monkey pox in Nigeria. Besides, Adewole said Nigeria had dealt with meningitis in 2017, adding the problem of meningitis is poor notification and inability to make diagnosis on time. He said Lassa fever has been persistent in the country over the past 30 years. 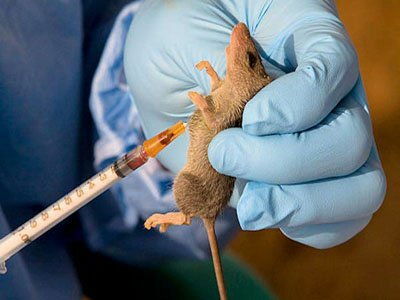 The minister appealed to the Nigeria Institute of Medical Research (NIMR) and other research institutes to look into the changing dynamics of Lassa fever. The minister said: “Lassa fever use to occur only during dry season but now we are contending with an all year transmission of Lassa fever. He also urged state governments and other key stakeholders to work closely with the Nigeria Centre of Disease Control to address outbreak of diseases. The meeting was attended by a number of state Commissioners for Health and FCT health secretariat. Participants at the meeting renewed their commitments to work with federal government facilities in their states to enhance disease surveillance and disease response programmes.